Today, we are experiencing an epidemic of adultery and separation. Sadly, it has even become very common among self-professing Christians to have physical relationships with other self-professing Christians that they are not married to. 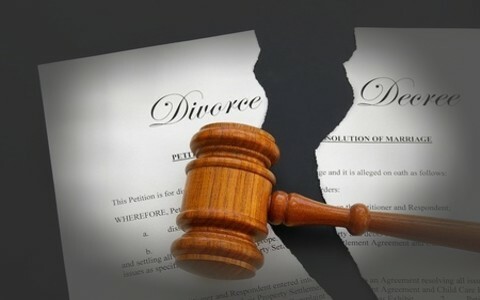 Likewise, we are now seeing where the leaders in many churches are encouraging separation and divorce, even in cases where there are no Biblical grounds. Unfortunately, many people have suffered from adultery and separation, which has caused great harm to their marriage and daily walk with the Lord. Therefore, it is important to consider seven steps to healing from adultery and separation. It does not matter if someone is a believer or not, God has given us these seven steps that apply to anyone (1). Jeremiah 3 provides an outline of these steps as God addressed the harlotry, adultery, and separation of Israel and Judah from the Lord. Jeremiah 3:1-11 provides the context of what happened. Beginning in verse 12 we see God’s directives for healing from adultery and separation. The first goal should be to do whatever it takes to get back together. The longer a couple is apart the more likely they will not get back together. We see in 1 Corinthians 7:1-5 that when a husband and wife are not together, the chances of them being tempted are two-fold. First, there is no ability to provide for each other’s physical needs. Second, there is the increased temptation to do things that further damage the marriage. We also see in 1 Corinthians 7:5 that if there is to be any separation, it should only be for an agreed upon specific time so that the couple can give themselves to prayer and fasting. In cases where the atmosphere is too toxic for the couple, then each needs time designated where they can pray and fast. This is so they can have the right mindset with God so they can come together again with the right mindset for reconciliation. In any case, there needs to be a directed effort at reconciliation through God’s mercy. This requires that confession of sin is made to God so that He will grant us the mercy and grace to move forward with restoring the relationship (1 John 1:9; James 1:1-25). This is probably the hardest part of healing from adultery and separation. If our marriages are to model the relationship between Christ and the church, then like our relationship with Christ, our marriages should have no secrets. Often, I have advised a couple that they have made great progress in their relationship when they can confess anything to their spouse that is troublesome that they want to fix and their spouse responds with wanting to pray with them and help them instead of getting angry and rejecting them. Therefore, it is important that everything that has occurred should be confessed to one another. Some people claim that they should not do this, but instead keep it secret from the other spouse. Continuing to perpetuate a lie inhibits the full healing needed to restore the relationship and almost always leads to disastrous results if they are discovered later. Note: this is usually best done with a Biblical Counselor in step five (Ephesians 4:29-32; Ephesians 5:17-21; James 5:16). In order to grow in the relationship in the nurture and admonition of the Lord there must be a turning toward the Lord. This turning should be the byproduct of genuine repentance. Both spouses must focus on spending time in God’s Word in personal study and devotions together, participating in services and worship at a local church that teaches directly from the Word. They should also be devoting time to getting Biblical counseling, engaging consistently in prayer, and serving the Lord in some capacity with others. Find a Biblical counselor that uses the Bible as the foundation for their counseling. Many counselors claim to be Christian counselors, but the only thing Christian about their counsel is often nothing more than a prayer or an occasional Bible verse for garnish. God’s Word provides the wisdom we need for all issues of life. Therefore, we must be willing to be taught how to move forward with the Lord from His Word (Ephesians 4:11-16; 2 Timothy 3:16-17; James 1:2-8). Too often people who have suffered from adultery and separation have done damage to their testimony. Continuing to move forward in the previous five steps will reestablish your testimony. This is important because many people believe that if they have sinned certain sins, then God can no longer use them in any capacity. This is a doctrine of Satan used to convict believers that they can never do the work of the Lord or serve where God is calling them to serve. For this reason, many people are right where Satan wants them: believing that they are not forgiven, tainted forever, and not active in the work of the Lord. If God has a calling for us, He does not change His mind. When restoration has retaken place, step out and do it and don’t worry about those who sit on the sideline taking potshots at you based on their edict of what you are and are not called to do. As long as the calling is in keeping with God’s Word, go for it (2 Chronicles 7:14; Romans 8:26-31; Romans 11:28-32; 1 Timothy 1:9). A good Biblical counselor will not only help you learn how to overcome your issues, but will also train you how to take what you have learned and use it to train others. In doing so, the number of counselors working in the Lord is multiplied and it helps to protect the flock of God. This also helps to create the atmosphere of Godliness, bring others to Christ, and glorifies God. In the end, those suffering from adultery and separation that have learned how to teach others, glorify God in what He has done through them in delivering them and using them for His purpose (Proverbs 11:14; Proverbs 24:6; 2 Timothy 2:1-10). Many people have suffered from adultery and separation, which has caused great harm to their marriage and daily walk with the Lord. Therefore, it is important to consider seven steps to healing from adultery and separation. The steps, if followed in accordance with God’s Word will result in restoration and glory to God, if done in accordance to His Word. Previous post: What Does The Alpha and Omega Mean When Used In The Bible?